It is increasingly recognized that metabolic factors influenced by eating behavior, may affect disease progression in neurodegeneration. In frontotemporal dementia (FTD), which shares a significant overlap with Amyotrophic lateral sclerosis (ALS), patients are well known to develop changes in eating behavior. Whether patients with pure ALS and those with cognitive and behavioral changes associated with ALS also develop similar changes is not known. The current study aimed to examine caloric intake, eating behavioral changes, body mass index, and using cox regression analyses survival across the spectrum of 118 ALS-FTD patients (29 pure ALS, 12 ALS-plus and 21 ALS-FTD, 56 behavioral variant FTD), compared with 25 control subjects. The current study found contrary to previous assumptions eating changes are not restricted to FTD, but a spectrum of eating behavioral changes occur in ALS, present in those with pure ALS and worsening as patients develop cognitive changes. 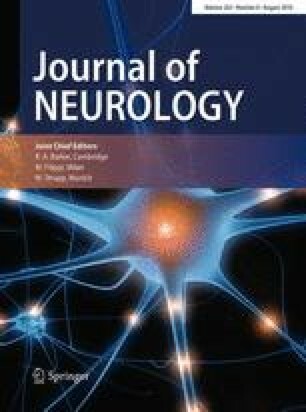 ALS patients with cognitive impairment exhibited changes in food preference, with caloric intake and BMI increasing with the development of cognitive/behavioral changes. Both pure ALS and those with cognitive impairment demonstrated increased saturated fat intake. Survival analyses over the mean patient follow-up period of 6.9 years indicated that increasing eating behavioral changes were associated with an improved survival (threefold decrease risk of dying). Changes in eating behavior and metabolism occur in ALS in association with increasing cognitive impairment, perhaps exerting a protective survival influence. These changes provide insights into the common neural networks controlling eating and metabolism in FTD and ALS and provide potential targets to modify disease prognosis and progression. The online version of this article (doi: 10.1007/s00415-016-8168-2) contains supplementary material, which is available to authorized users. We wish to thank Ms Heidi Cartwright for assistance with the figures. No author reports a conflict of interest. Prof Kiernan: Editor-in-Chief, Journal of Neurology, Neurosurgery and Psychiatry. This work was supported by funding to Forefront, a collaborative research group dedicated to the study of frontotemporal dementia and amyotrophic lateral sclerosis, from the National Health and Medical Research Council of Australia (NHMRC) program Grant (#1037746 to GH, MK and JH) and the Australian Research Council Centre of Excellence in Cognition and its Disorders Memory Node (#CE110001021 to OP and JH) and other grants/sources (NHMRC Project Grant #1003139). We are grateful to the research participants involved with the ForeFront research studies. RA is a Royal Australasian College of Physicians PhD scholar and MND Australia PhD scholar. GH is an NHMRC Senior Principal Research Fellow (#1079679). OP is an NHMRC Senior Research Fellow (#1103258).